glacier is an intact male, 1.5 years old. 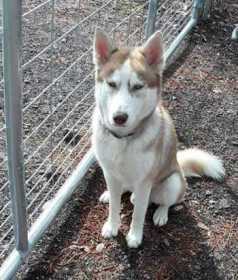 he is a cream/tan and white husky, with some darker areas along his back. his nose is mostly pink and brown. no black on this boy. please help us bring him home.